Apple's much-rumored next-generation iPhone will hit shelves sometime in September despite rumblings that component supplies may push back the device's launch date, AppleInsider has learned. A trusted industry insider told AppleInsider on Thursday that they expect Apple still expects to launch the sixth-generation iPhone in September following a manufacturing ramp-up earlier in the month. These views were similarly shared in a research note Friday by well-respected KGI Research analyst Ming-Chi Kuo, who said the next-generation handset is entering the production verification test (PVT) stage and that Apple's supply chain will be intact for the initial ramp, though availability of select components, like in-cell touch-panels made by Sharp and LG, may be tight due to low yield rates. According to industry checks the two suppliers will be able to pump out a small number of panels and contribute to Japanese display maker JDI's already-growing stockpile, which will stand at over 10 million units before the end the third quarter. Overall, in-cell panel supply should reach between 14 to 18 million units in the third quarter, sufficient for the next-generation iPhone's rollout. As for the smartphone's metal and glass case, up-chain suppliers suggest only two color ways will be available: black and white. Kuo went on to say the images of purportedly leaked assembled externals are "very likely authentic" and notes the metal top and bottom of the uni-body casing may feature a Gorilla Glass inlay for heat dissipation and cellular reception. 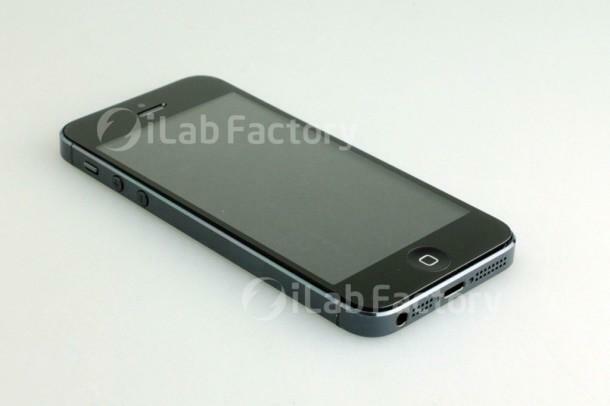 The design has never been seen before and may negate the wireless connectivity issues Apple faced with the iPhone 4. The supply of baseband chips expected to be used in the upcoming handset are not expected to be a problem for Apple as the next-gen iPhone will likely employ Qualcomm's MDM9615M silicon, an improved version of the chip used in the third-generation iPad. Because the MDM chip's die size is smaller than previous iterations, production yield is higher and most likely won't cause an issue for the mass-production of the upcoming iPhone. According to the Kuo, Apple's fiscal guidance for its fourth fiscal quarter of 2012, the expected gold master release of iOS 6 in early September and lack of a supply shortage point to an early to mid-September launch for the next-gen handset. The timetable is in-line with recent rumors that Apple will hold an as-yet-unannounced special event on Sept. 12.